I was fed up of making just cards so i decided to do something a bit different for me. I decided to get the inks, paints, & stamps out etc & get messy!!! 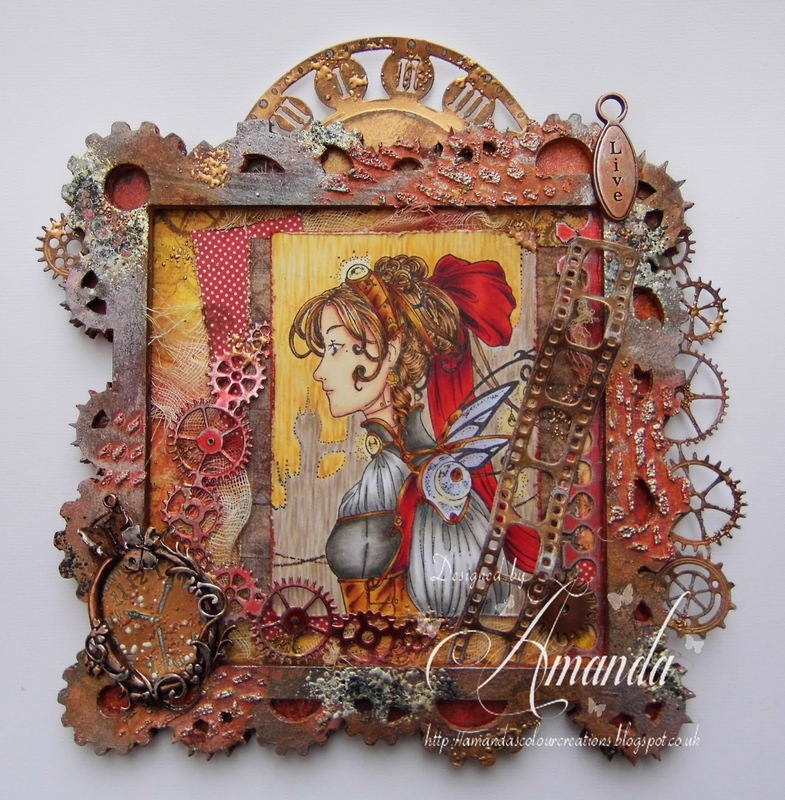 So here's what i made but first i will show you the MDF Cog Frame before it was altered. Isn't it gorgeous, i just love the look of MDF before it's painted. This is Available from That Craft Place Ltd and there are LOT'S more shapes available and they offer a Bespoke Cutting Service too. So onto the finished piece. Don't you just love that Brass Frame with the Butterfly & Swirls on! ( from That Craft Place) I put a Clock Die inside the Frame. Close Up of some of the Texture i Created with Frantage & Texture Paste. ( the brass Zip Pull was from my Stash). I have used Inka Gold in 3 Different Colours, Tim Holtz Ink Pads for ageing the edges of the Die Cuts once i had sanded them all. 3 Different colours of Frantage. 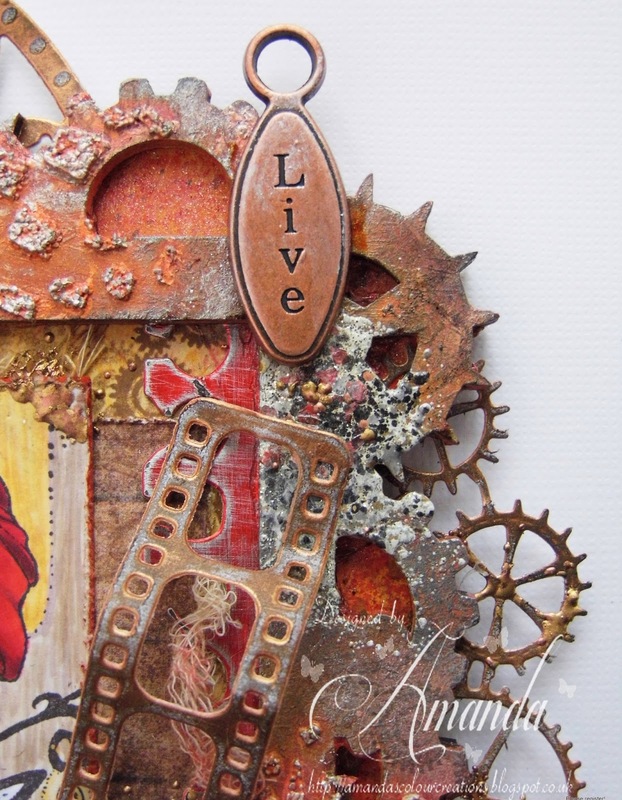 Quirky Crafts - Frame It) ends 25th Oct) Won 1st Prize! Wow, this is stunning, love the shape, love the image, love all the details, so much to see. oooh, I think I "need"some of those mdf frames!!!! It is just gorgeous!! Love the card! 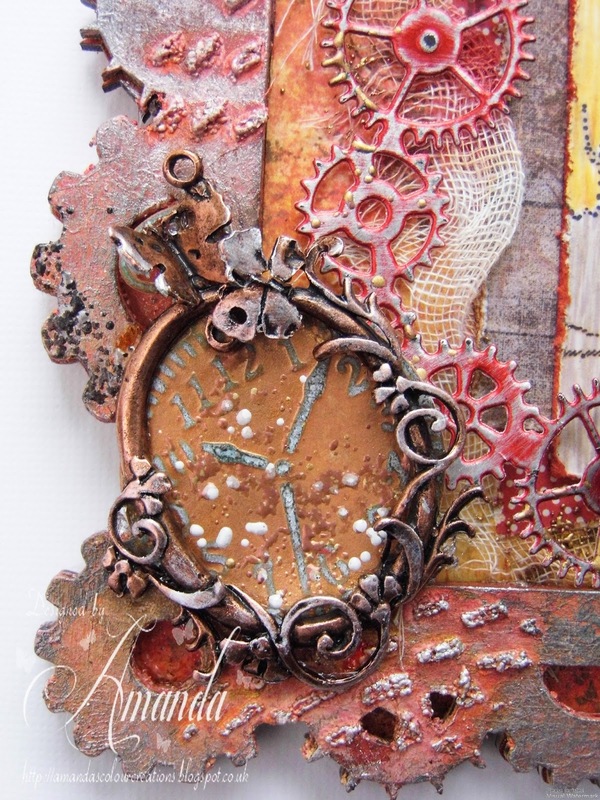 Wow, your frame is so beautiful, love the colors and the textures. This is stunning. Thanks for playing with us over at Loves Rubberstamps!! !